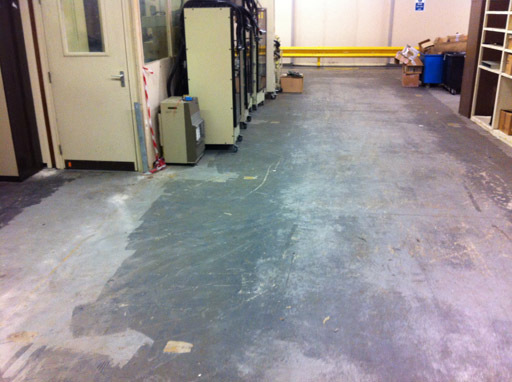 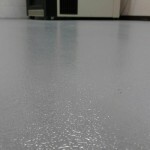 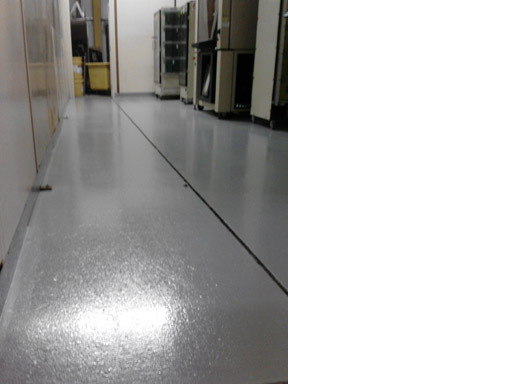 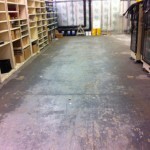 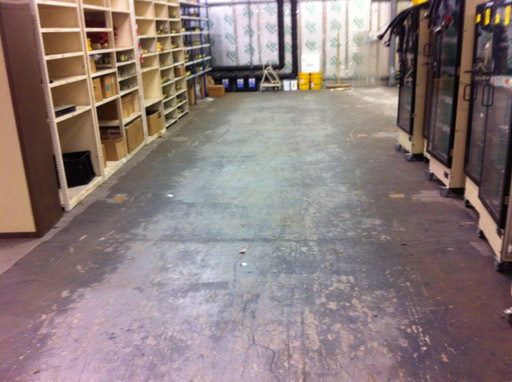 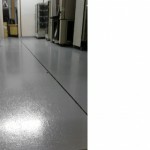 This large manufacture of electrical components in Merseyside were experiencing slip problems on a concrete floor in their main production and test areas, and required a non slip concrete floor treatment. 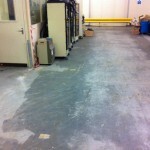 The existing painted surface was first thoroughly cleaned and degreased to remove all surface contamination. 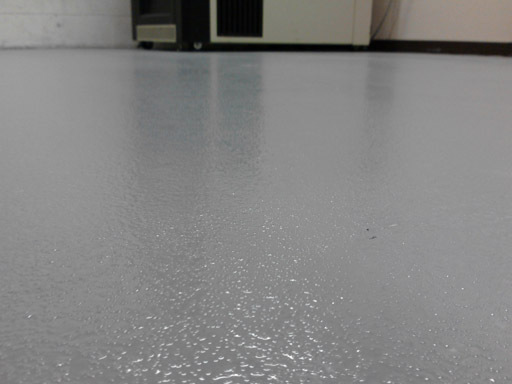 The surface was then rotary abraded using a diamond grinder with dust extraction to remove all loose surface coating and to key the surface.